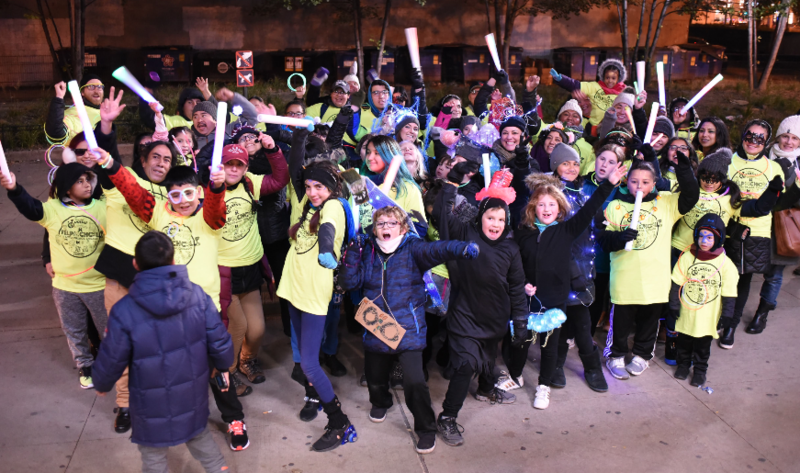 On October 20, CAPE students from Telpochcalli Elementary and Waters Elementary got to strut their stuff in the City of Chicago’s annual Arts in the Dark parade! 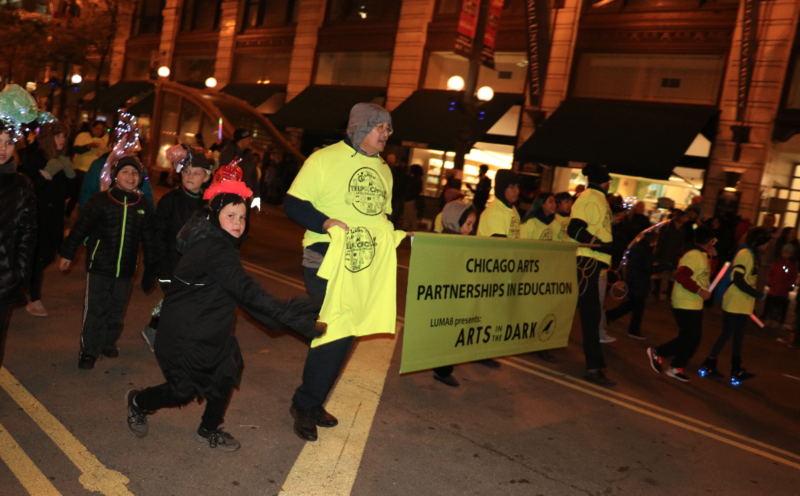 Our students braved the cold and made their way up State Street amidst stilt walkers, dancers, marching bands, bicycle convoys, and many other representatives of Chicago’s creative youth organizations. 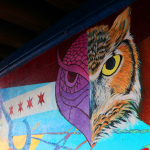 The students from Telpochcalli are part of our after-school Art+Running class, where they meet twice each week to run around and create art about Little Village. Each run includes stops to observe the neighborhood through different lenses and engage with crossing guards, barbers, florists, restaurant employees, fire fighters, valets, and other members of their community. The students from Waters Elementary are in our after-school Costume Creations class there. They kicked off the year by researching bioluminescent organisms and creating glowing headpieces inspired by what they learned. 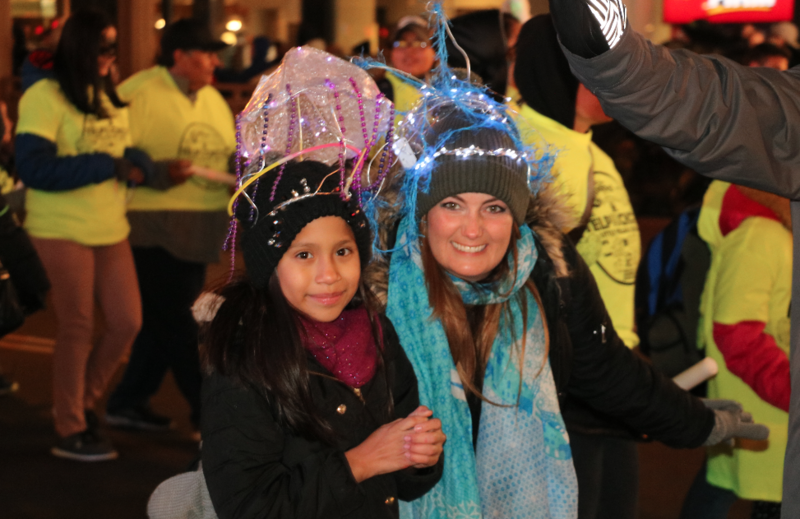 Represented were jellyfish, fungi, sharks, corals, lantern fish, and more. More work from these and other students in our after-school programs will be on display in early 2019 as part of our upcoming Inside/Outside exhibition. 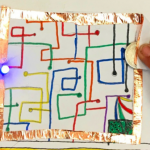 Click here to learn more about Inside/Out and our other CAPE exhibitions for the 2018-19 school year.